The Human-Machine Interaction Laboratory is housed in room 0.37, on the gound floor. 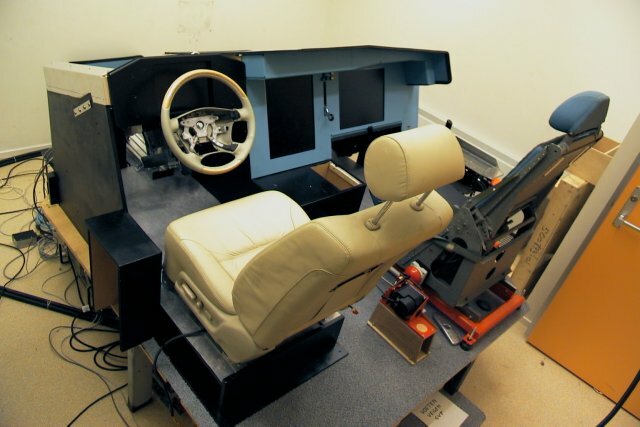 It is a small but versatile lab, which can be used as a fixed base simulator for either cars or aircraft, or as the platform for experiments with control tasks or visual perception research. The screens and devices in the lab are controlled by up to 6 computers, linked together in a high-speed ethernet network. The lab is split up into an observation room and an experiment room, normally the experimenter is working from the observation room, controlling the simulation, and subjects are flying or driving the simulation from the experiment room. A fully adjustable aircraft seat, from a Breguet Atlantique, installed on the right hand side. A control-loaded hydraulic side stick, with ± 30º excursion in roll and ± 22º excursion in pitch. A set of electrically control-loaded rudder pedals (from an actual Fokker F27), with brake pedals loaded by a passive spring. Controls on the pedestal; two throttle levers, flap lever and a speedbrake lever. A 3-position gear handle with associated gear lights. Two 18″ LDC panels for the instrument displays, one installed in portrait mode, both displays with a 1280 x 1024 pixel resolution. A mode control panel for operating a simulated autopilot. 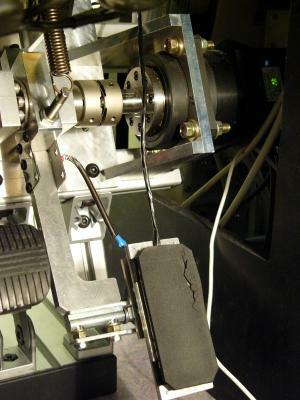 A Control loaded accelerator pedal. 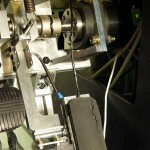 A passive spring loaded brake pedal. A luxury car seat (NISSAN). A 12″ LCD panel for the instrument displays, with an 800 x 600 pixel resolution. 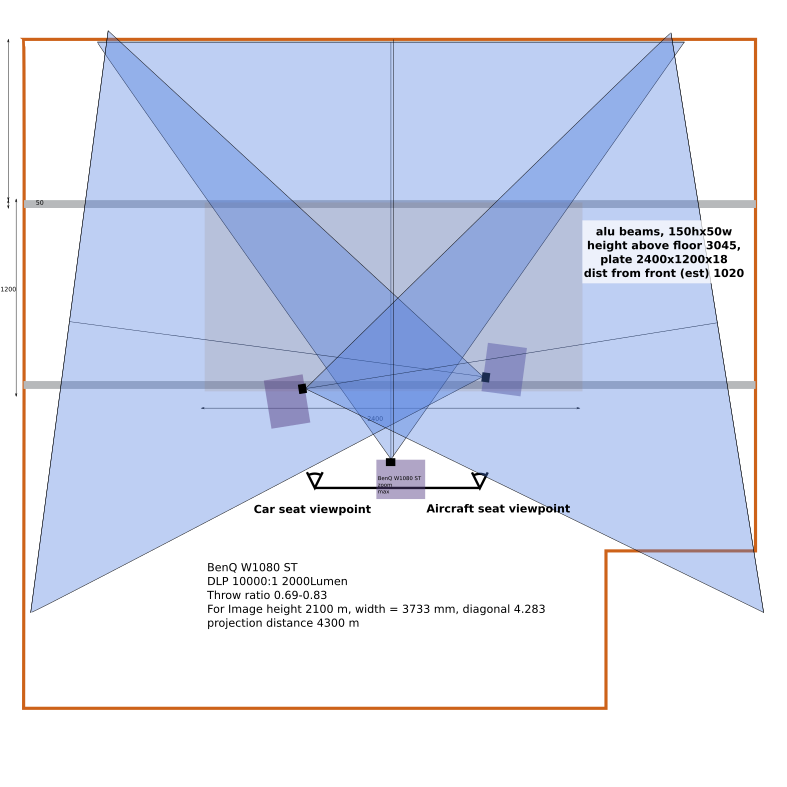 Both sides share a unique outside visual projection system. That system is driven off one quad-core PC, with two dual head graphics cards driving a total of 3 DLP projectors with HD resolution. The projectors use a three-sided projection screen, and cover a field of view of over 180º, providing a truly immersive experience. 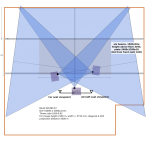 Several options are available for generating the projected image, using OpenSceneGraph, OGRE or FlightGear image generation. 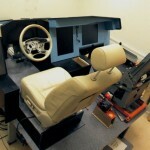 Both for experiments with car driving and for experiments with flying it is possible to use our portable FaceLab system for experiments with eye tracking. The lab is driven by a stack of 6 PC’s, running SUSE Linux Enterprise Desktop with an adapted kernel with the PREEMPT_RT patch, making these systems real-time, with arbitrary precision timing. The communication with various devices in the lab (stick, rudder pedal, gas pedals, gear handle) is handled by an array of EtherCAT IO cards. All PC’s are equipped with DUECA, a middleware layer that enables easy implementation of real-time experiment programs. For students and staff working with the laboratory, there are details on the use of the laboratory, and on the software installed on the different computers available in the C&S Wiki pages.